Scarlett is a very senior citizen cat. Scarlett's fur became very matted and her owners tried to help her to remove the matts one night. Unfortunately, Scarlett got a serious and deep cut during the process. Since it was late at night, her owners brought her to the emergency clinic where they put in two surgical staples with Scarlett awake. 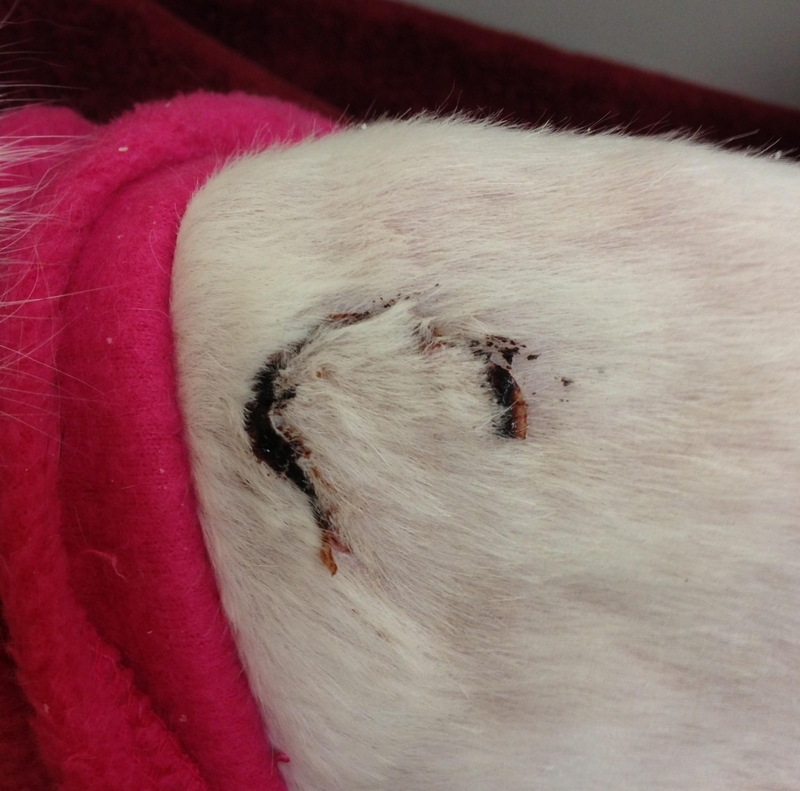 This is what Scarlett's wound looked like when she came in to Canterbury the next morning. Due to her other underlying health issues, surgical repair wasn't an option for Scarlett. Her medical issues could also prevent her from healing. 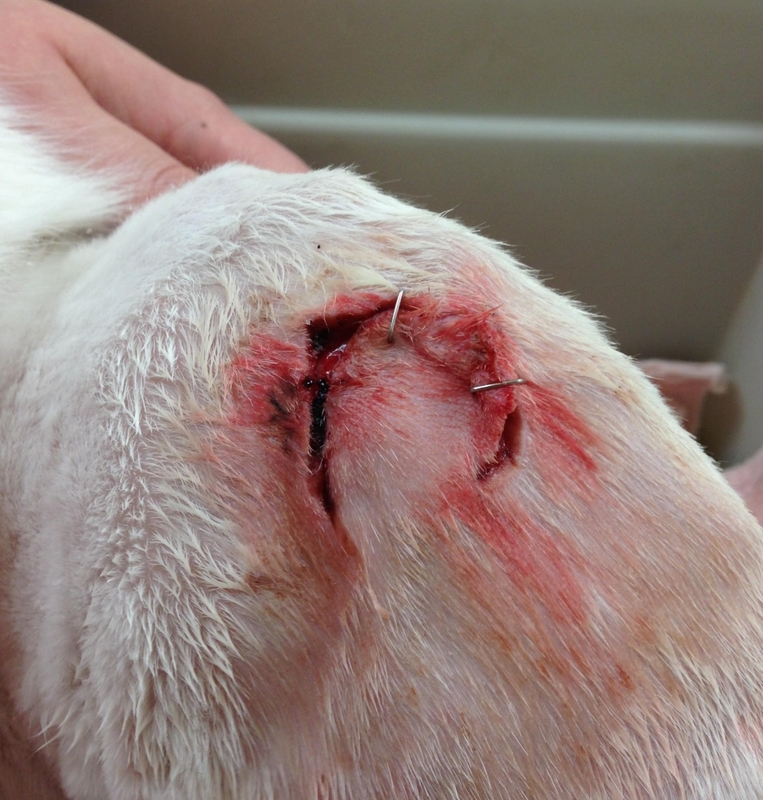 So we decided to use our therapeutic laser to heal Scarlett's wound. Two days later, after the second treatment. 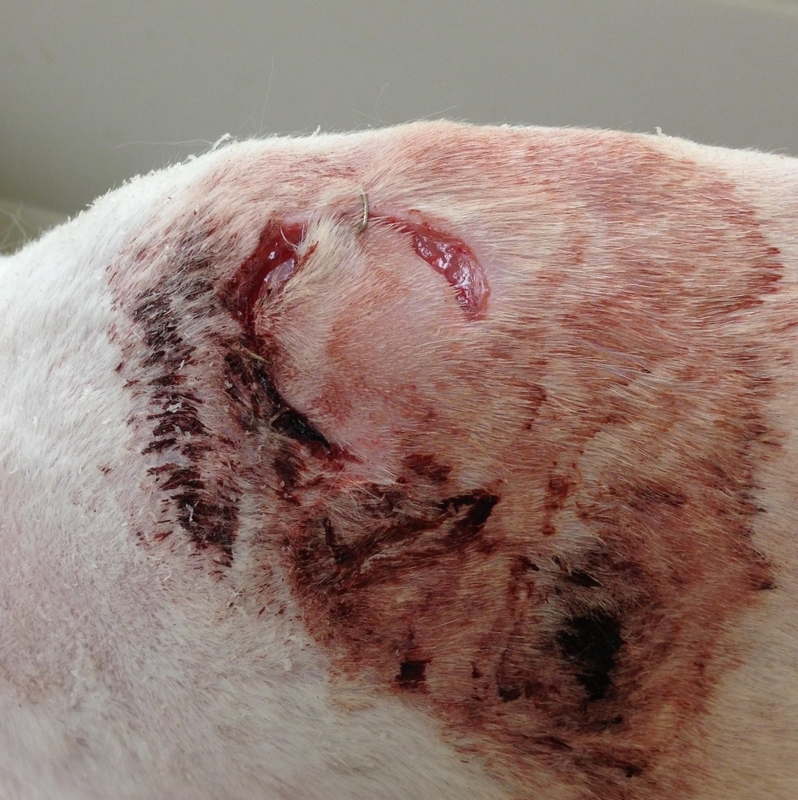 Two weeks after being wounded and after four laser treatments Scarlett's owner sent us this picture. 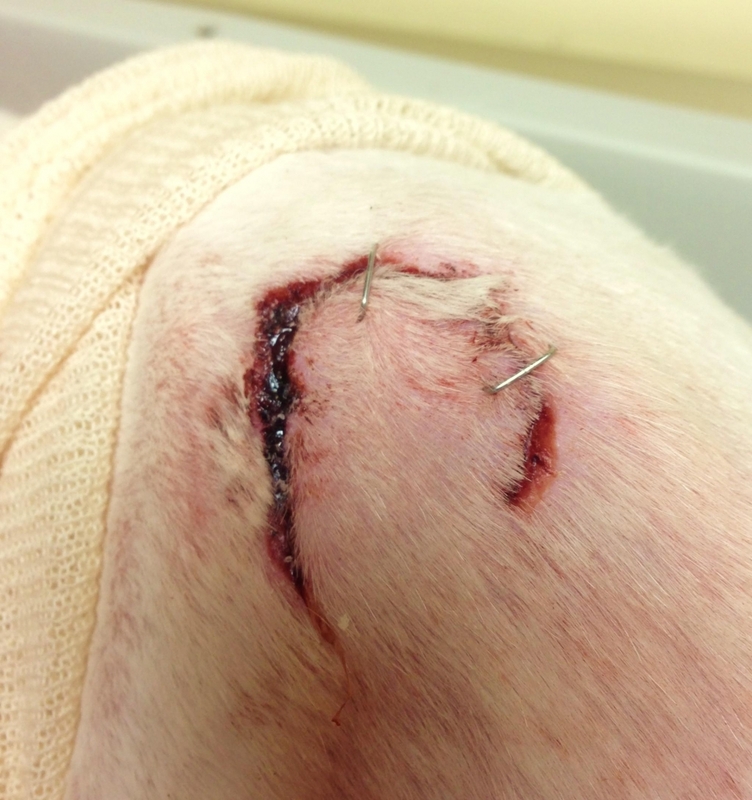 Just a small scab left, which fell off a few days later. 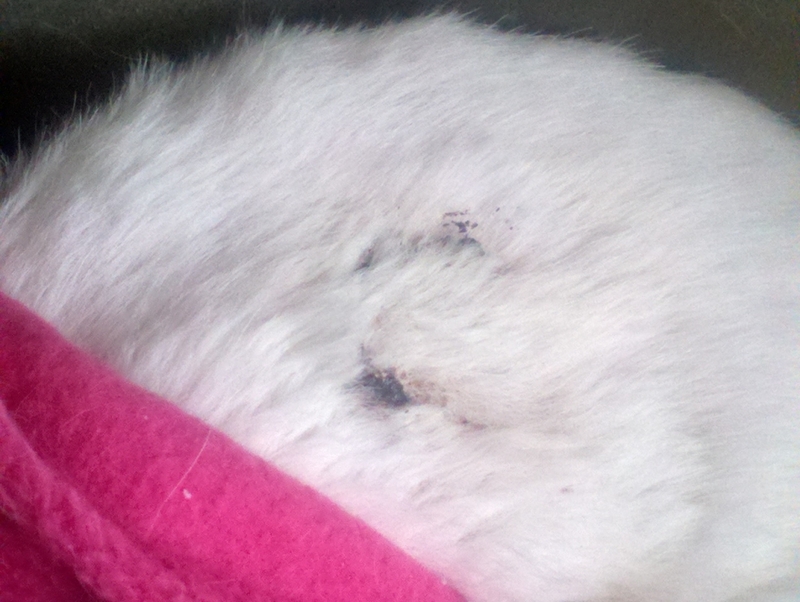 You can't even tell Scarlett ever had a wound now!